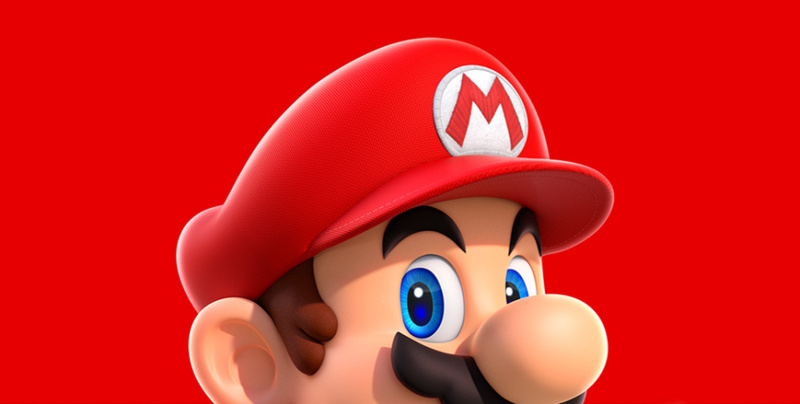 Super Mario Run has had something of a mixed reception since it launched; 50 million downloads would suggest that the game has been an overwhelming success, but a few negative App Store reviews and investor niggles have soured the release a little. Druckmann has also collected every single pink, purple and black coin in the game, which is quite an achievement. It's a wonder he gets any work done at all. If you hold off from buying your fancy coffee for two days, you can afford it. @Spoony_Tech Well he did just 100% a Mario game, which I'm pretty sure isn't just an 'interactive movie'. So... am I the only one wondering how much he got paid to say this? @Zoriam Why would Nintendo pay him of all people? Kotaku also put it in their favourite games of the year list. Seems crazy to me. I don't think it's bad, but I also don't think it's anywhere near the best mobile games that have come out this year but each to their own. 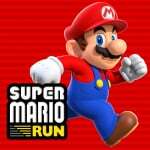 @Damo New York Times posted editorial about 'sexist' Super Mario Run game! Surprised you haven't posted about it on here yet. Right up your alley! @Zoriam Exactly who would be paying him? Nintendo? Any time someone says something like, "hey I like this Nintendo game" there's always people who insist it was a setup. But if Miamoto says he likes Tearaway, it gets plastered all over the Internet as gospel. He thinks games shouldn't have fleshed out characters and storylines! Prefers to just run to the right until he hits a flag. Simple man! The price isn't an issue. It has that deceptive depth Nintendo like to put in their games. @Equinox I wasn't aware Sony was still in the 90s. Nice too see other dev's enjoying a Nintendo product . I don't think they could pay him. Honestly the way Nintendo is it wouldn't surprise me if they never bother to look at what other devs are saying. Fanboys needs to stop, we should be happy that a good developer is liking a Nintendo game ! @Equinox That's like saying Mario games don't require as much skill as Call of Duty games because they don't use as many buttons. I actually agree with this guy. The more I play Super Mario Run the more I love it. I really love this game. I think it is the best mobile game I've ever played. To be fair 2016 has been a quite shyte year for video games. Wii U and 3DS had a terrible year, and the major AAA games that came out did not appeal to me, with just a handful exceptions. With that in mind, Mario Run might be a standout, lol. Creator of two critically acclaimed non-games says he loves non-games. In other news, sky remains blue. Mario Run is kinda an interactive movie. That's probably why he likes it! I've never understood why folks can't process positive praise as simply just that... positive praise. I always see fanboys specifically in this instance right here try to downplay other systems (yes I know it goes both ways). Is that because they only own one system?? Does that feeling seem to validate your purchase? As a gamer I enjoy all systems to an extent. I grew up with my first experience on NES but I also respect the quirks and games I've played on Playstation families and to an extent Xbox as well from a home console perspective not withstanding handhelds. Hell I would hate to have missed out on the "Trails of" series which is now one of my favorites RPGs by not having a Vita and likewise I can say that about Earthbound, Panzer Dragoon, Bayonetta 2 etc.. Back on topic Druckmann has played his role in providing some fantastic entries to the gaming realm so I see no need to attempt to downplay his achievements especially when he is being positive as other execs/developers of different platforms have done before just tip yourhat and keep it moving, it's about games in general not a versus melee. @Zoriam I sincerely wish I could say yes, but as of right now there are apparently two other people who think that's a valid thing to wonder about. @Peach64 Seriously? What mobile games that came out this year would you put above this game? Been a while since I've gotten to use this. Can't someone just enjoy something? And for the record, I do think that the Uncharted series is pretty good gameplay-wise (well, not the first one, but at least 2 and 3). @Equinox Grow up, eh mate? @Equinox I'll be honest, I've been playing Mario games pretty much constantly for the last 28 years and Mario Run is easily one of the more difficult/demanding Mario games I've ever played, especially If you're trying to collect all the colored coins. The lack of buttons and directional discretion is a major contributor to that, because it makes the game all about timing and reflex. "Breaking News: Someone enjoyed a video game!" If you listen closely, you can hear the teeth of NL contributors grinding as we slowly march toward that January 12th event. @RadioHedgeFund If that's actually true, then the only possible explanation is that you need a new router, and possibly a new phone/iPad. Or you need to run updates or something. If he thinks this is worthy of his game of the year, he should look into some other games that aren't mobile. Mario Run is great for a mobile game, but it's got nothing on some other games that have come out this year. It has a 10 dollar price tag for a reason. That's nice that a "rival" game designer praises someone else's work. I'm not an Xbox person, but Phil Spencer does this stuff a lot and it is classy. @KirbyTheVampire He does say ONE of his favorite games of the year. But even if it were THE favorite, it's just as valid of a choice as any console game. @UmbreonsPapa Oh okay gotcha, I missed that. @Equinox Well it's definitely not a rhythm game because rhythm plays no role in the game. And it's definitely a Mario game because it is a Mario game. But the biggest mistake you're making is in the conflation of muscle memory and coordination with skill. The beauty of gaming is that there are many divers categories and genres, each with their own mechanics and gameplay standards and inputs, each with their own brand of skill requirement, and through that design diversity we have an entertainment medium that offers something for everyone. To say that a lack of complex-control integration automatically equates to "does not require skill" is so stupid and short-sighted that it honestly gives me a tangible increase in blood pressure to think that I have to explain why. So please don't make me do that. I personally don't play or care for many mobile games, and I think the vast majority of them are trash, but your black and white/my way or the highway macho grandstanding is just embarrassing. It really just imparts a good deal of ignorance. That's cool. Just waiting for an Android release to see I agree. Uncharted five on the switch. @Equinox I've been a gamer for over 30 years, with Nintendo systems being my only consoles. With top scores in most of my games & a world record in one, I wonder how is it that I was beaten on Wii Bowling by numerous novices when there was only 1 button & extreme lack of skill from them? Mario run is a great game for people of all skill levels, hence the 3 levels of coin collection. And all this from one input? I think Nintendo done good for a change. It 100% is a Mario game, one input to do all the moves required is certainly not just a 'casual' game. "Ina Fried, a respected technology journalist, said these old-school storylines do not reflect the modern world." Since when has slaying dragons, blowing up civilisation destroying robots, or taking down criminal organisations in super-powered dog fights ever been a reflection of the modern world? There's hope for a Mario cameo in Last of Us part 2. Or a DLC for Joel to dress in red and blue holding a toilet plunger. @Peach64 You never seem to say anything positive whenever I see your comments. Sometimes I agree with you but other times, you just seem overly negative. Brighten up a little. Naughty Dog, as one of NintendoLife's earlier articles pointed out, played a lot of Mario Kart 64 when developing Crash Team Racing, which I pointed out in the comments as the only Mario Kart "killer" that at the time could have actually succeeded. Sure, it's not like the studio has always flattered Nintendo, but when it does, to me, it's always awesome. Especially considering these guys made Crash Bandicoot, the one character that pretty much got me into gaming in the first place. That's a serious achievement. I've had the game since launch day, and have a full time job, and I'm only up to World 3 getting all the coins. @Mr_Zurkon Phil Spencer makes me chuckle though. He seems like a nice guy, but earlier this week he was talking about how exclusive content and DLC ruin gaming, yet Xbox had has its fair share of (timed) exclusive games over the years. ROTR is a recent one that comes to mind. But yeah, it's nice to see when people act like humans and just say what they like, even though it doesn't benefit them in any real way. Yoshida does this pretty often too, I've seen people walk into him on the E3 floor and he'll just list a number of games he saw and liked. It's the same when Miyamoto played Tearaway at E3. It's just people being people. Yet it's the thing that deserves attention, because it's so ''unexpected'' and isn't considered the norm. People should be reporting on Reggie when he's asked something non-Nintendo related and answers with ''Well, we at Nintendo... blabla...'', that should be the odd one out here. Not really news. Yeah, other companies play other companies games...I'm sure there are many Sony executives also playing nintendo games. It's almost like being surprised that someone that works at Walmart, shops at Target! 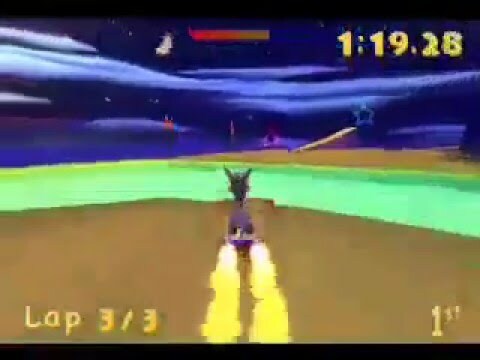 @Octane It was shown in the past (even when Playstation was competing with N64), that the two companies were still good friends. Even on the magazine side (where XBOX magazine always made fun of and put down nintendo and Sony), Sony and Nintendo never put each other down unless it was by jokes...that's kind of why I see that if either of those companies end up going out of business, the one that continues will buy that companies products and games. This is also why I continue enjoying nintendo and sony products...they truly are the better companies and systems. @AlexSora89 On the fortune of interviewing people from Insomniac, they said they played a lot of Mario Kart 64 during lunch breaks. Naughty Dog were across the hall from them and they often hung out with each other so it spread to other developers too! Which is weird considering that, if I recall correctly, Insomniac never created a racing game. Phew, that kind of devotion, and during Christmas too.